If your system does not have this app available, you can install it via the Marketplace. Use the update interval to change the frequency for collecting network data. Select the network interface to monitor. You can view either the total bandwidth over the time interval, or the total network transfer. The tabular formats are useful for determining specific clients and the applications that may be consuming a lot of bandwidth on your network. The graphical report summarizes data coming and going from specific devices on your network. 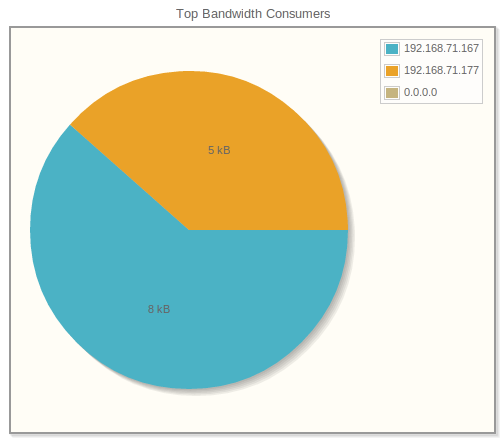 The resulting list is sorted by top bandwidth usage and the top 10 highest consumers of bandwidth are displayed.